As the hot housing market becomes even hotter this month, finding your dream home can be challenging. So, what do you look for in a perfect house? With bidding wars the norm, how do you keep your emotions in check and purchase the house that you will be happy with in the long run? So many questions, where do you find the answers. The guys I trust are The Property Brothers. If I could, I would love the guys to renovate my home, make it open concept...but alas that will probably a pipe dream that will never ever come to fruition. So, I resorted to watch back-to-back episodes taking detailed notes on the dos and don'ts of renovating kitchens and basements. Then, someone answered my dreams. Well, not exactly the dream I had imagined, but something I'll settle for. I brought The Property Brothers home. It's like a genie asked them all the questions I've wanted to know and then packed them into a compact book. Jonathan and Drew's new book is a practical step-by-step instruction manual for anyone who's ever thought of doing a reno. But, rather than just another how-to book, this one is more of a psychological handholding journey where they make you do the hard work of figuring out what's the right reno for you, and if you should even waste your time doing a reno in your current house. One section features Stay Or Go? If you are unhappy with your current homes features, then how do you know if you should stay in the home and fix it up? The Property Brothers' suggest that about 25% of homeowners who fall into this category, should stay. There is a checklist, and this is just one of the many checklists you will see in this book to guide you through the process. Some will help you determine which renovation jobs you can do for your yourself, another will help you understand the hidden costs of moving, and yet another will give you a room-by-room guide to essential renovations. And, there's so much more! You'll find a handy calendar of key dates for locating the best deals on home products, and some advice on how to fix up your property and lawn. If you are thinking of buying or selling your home, this book should be your go-to guide. Fans of any of their four shows, will be pleasantly surprised that the book is written with the same fun, witty tone that you have come to expect from The Property Brothers' personal brand. So, if you prefer a dry DIY read, then you're best picking up some other book. 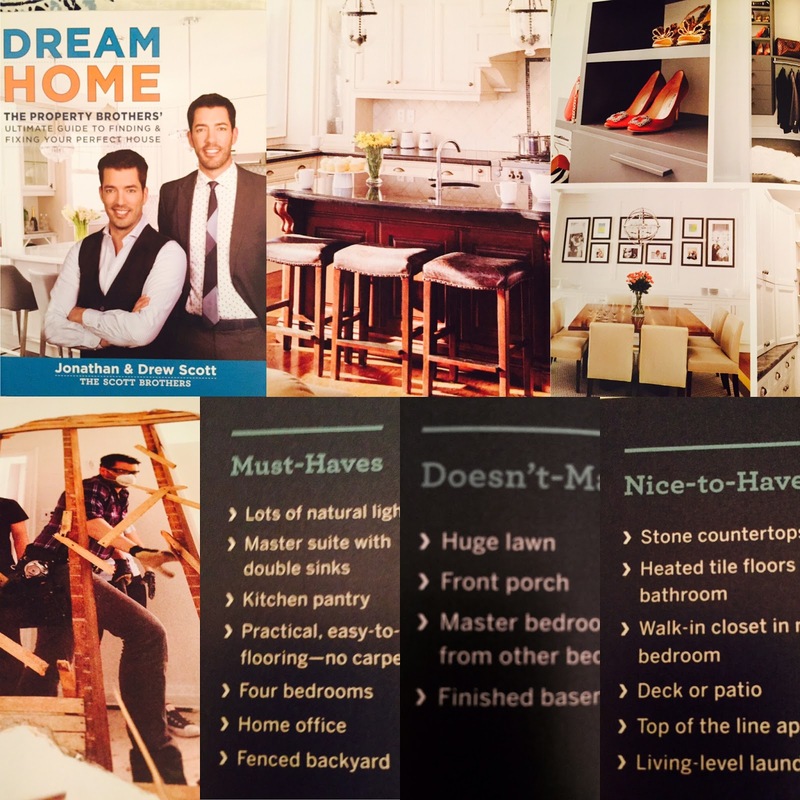 Pick up a copy of Dream Home and let Drew & Scott hold your hand through this whole process. You know you want to.